Alex Chinneck creates giant rip in the brick facade of a London building #ArtTuesday « Adafruit Industries – Makers, hackers, artists, designers and engineers! 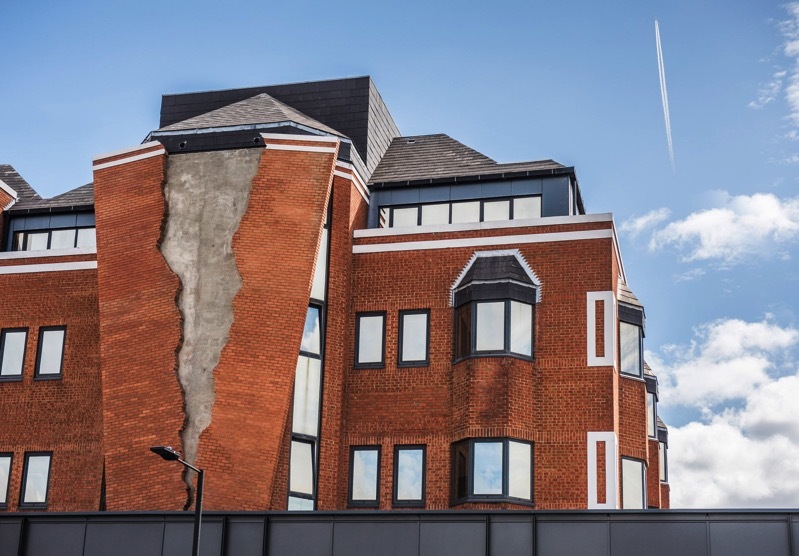 Eye-catching new work from artist Alex Chinneck up on dezeen. Placed 20-metres high, the sculpture has been designed to appear as if part of the building’s existing red-brick facade has cracked in two. Chinneck spent months scanning torn sheets of paper to digitally design the split, which is intended to resemble a page ripped from a book.